Zero Tool version - no battery or charger supplied. 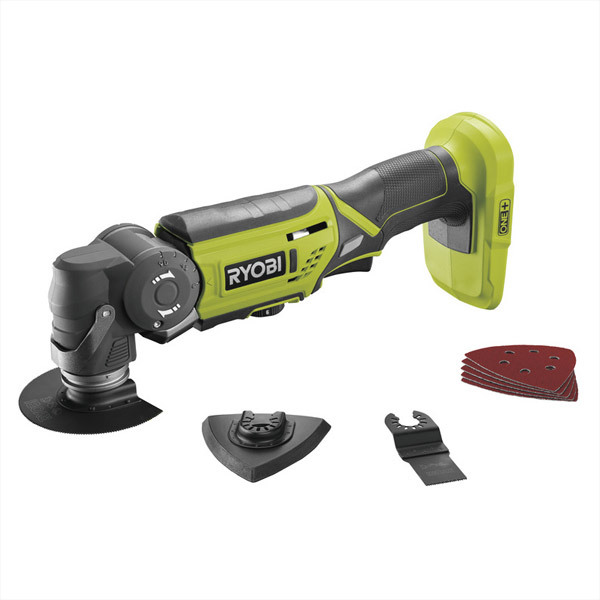 Compatible with the Ryobi ONE+ range of 18 volt batteries. 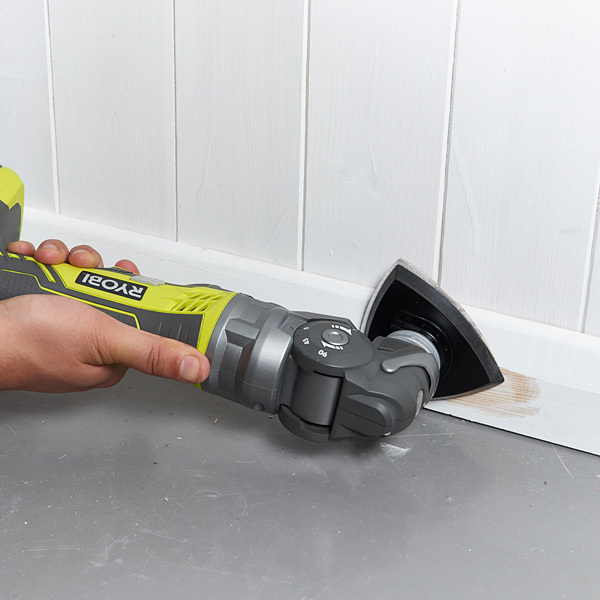 A versatile multi purpose tool with both sanding, scraping and cutting capability. Articulating Head: 4 position head gives the user increased versatility in tight to reach areas. 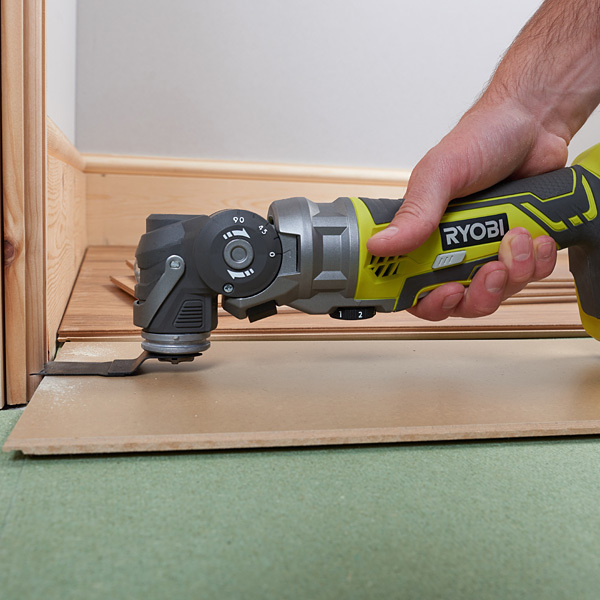 Tool-less Accessory Change: Easy release lever and new open accessories enables you to change accessory heads without the need of a Hex Key.